I am never going to get through my collection at this rate, especially if I keep listening to all these new fangled bands, first One Direction, now Wire. 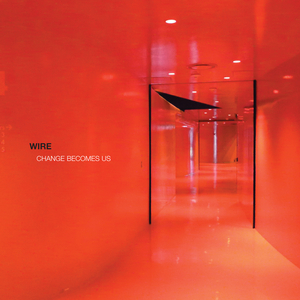 But joking aside, I love the fact that Wire are still making interesting and worthwhile albums, although they are criminally overlooked. It is an odd album, in a good way, it sounds both classic and contemporary, I suppose that is because of their influence and the fact that some of these tracks are re-works of older ideas. I always measure music fans against a wire-ometer, generally if people like Wire, they are very serious music geeks. To not like them, is of course OK, other bands are also available. Hidden gem; Keep Exhaling, but it needs to be about 3 minutes longer. Stand-out; Time Lock Fog, wonderful classic Wire, beautiful. An aside; It is about time the BBC took a look at Wire, they need a BBC4 do-over. An aside 2; The most inappropriate merchandise I have ever seen was a Chairs Missing tea towel (actually, I may have just dreamt that). This entry was posted in Uncategorized and tagged Wire. Bookmark the permalink. Any Wire fan is a friend of mine. Chairs Missing. Just put it on now. You interrupted Bee Thousand but that’s OK.